Whilst most of my blogging takes place from my bed (no lie), sometimes it's good to get a change of scenery. 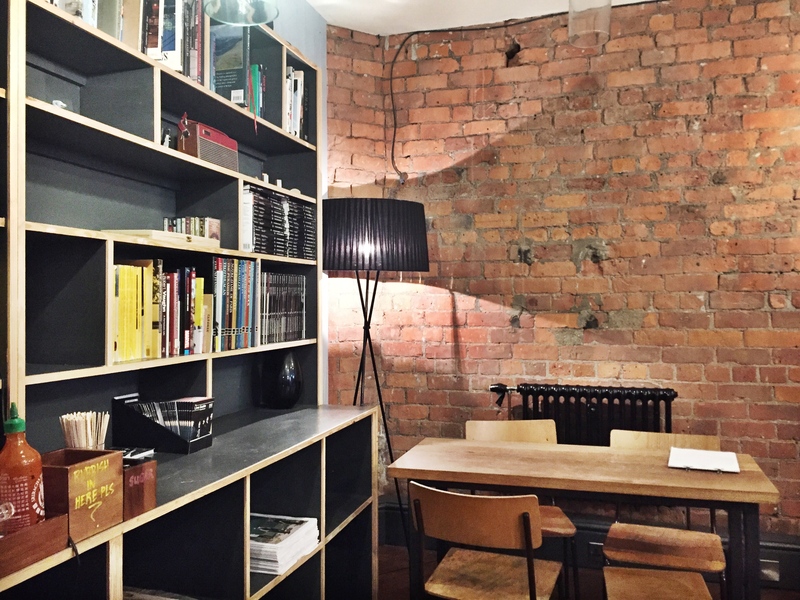 So if you're in Manchester and in need of some inspo, here's five places to get work done. With a lounge and winter garden to choose from, there's plenty of hidden corners to get things done. It gets busier at night and at the weekend there's live DJs so bear that in mind when heading down. And most power sockets are in the lounge so make sure you're fully charged before entering the winter garden, which yes, is as pretty as it sounds. Another NQ gem - Takk is quaint and intimate but that's all part of the charm. Serving brunch, cakes and drinks, it's peaceful and one to escape the city bustle in. Not only my favourite place to brunch in town, this place is built for people watching. With plugs a plenty and all the natural light, you may get distracted staring outta the window, but you can't have it all, can you? Every once in a while, the rooftop balcony at the Kingstreet Townhouse Hotel is open to the public. And when it is? Get there stat. With stunning views across the city, you'll get little work done but where better to write an essay than up in the clouds?